Terms Specific to Market Data provided by Bats Trading Limited. (“BATS”). 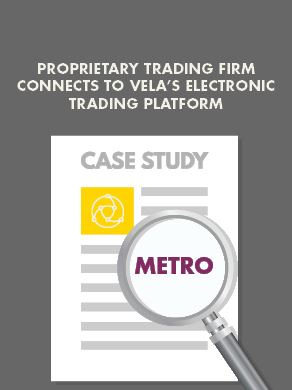 To the extent that Client has any rights in the data transmitted by Client to multilateral trading facility operated by BATS (the “BATS MTF”), Client hereby irrevocably agrees that BATS may use such data for any and all legitimate business purposes, including but not limited to the processing of orders, trade reporting, and transmission to third parties in connection with the clearing and settling of transactions executed by the BATS MTF. BATS may also include Client’s de-identified order and execution related data in the BATS market data feed so long as such data is aggregated in a manner that does not directly associate or link Client or individual Users with any order(s) or transaction(s).